Speakers including Jean Urquhart MSP and Tommy Sheridan will 'discuss the real legacy of Thatcher'. Opponents of former Prime Minister Margaret Thatcher will hold a protest rally in Glasgow's George Square just hours after her funeral in London. A service celebrating Baroness Thatcher's life will be held at St Paul's Cathedral on Wednesday before a public rally is held in the square to "discuss the real legacy of Thatcher". 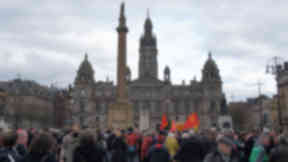 Speakers including Jean Urquhart MSP and Tommy Sheridan will address what organisers expect to be a "large crowd" at 5pm along with representatives of the steel industry, the National Union of Miners, Action For South Africa, Campaign for Nuclear Disarmament and the journalist and print industry. Event co-organiser Ken Ross said: “The array of speakers at the rally will reflect the many industries and communities who suffered under Thatcher. "We will remember miners, steel workers, print workers, public sector workers and factory and plant workers whose industries were decimated and whose livelihoods were destroyed. "We will remember the injustices that took place, including the Guilford Four, the Birmingham Six, the Hillsborough 96 and during the Miners' Strike. "We will remember those who were plunged into despair & poverty as a direct consequence of Thatcher's heartless & barbaric policies. This is Thatcher's REAL legacy." A spokesman for Glasgow City Council said: "The organisers have approached us for permission to use the square. We require certain assurances for large gatherings to happen, regarding stewarding and event planning. The group have satisfied us that they have those plans are in place and will be permitted use of the space." A similar event in Cumnock has been blocked by East Ayrshire Council as they require a minimum 28 days' notice for such gatherings. 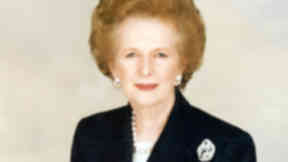 A Holyrood debate on the legacy of Baroness Thatcher was moved on Tuesday to avoid a clash with events in London. 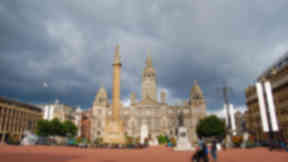 The debate, brought forward by the Green-Independent group, was moved to Thursday following agreement by the Scottish Parliament's business bureau. It became clear at a meeting of the bureau on Tuesday — attended by business managers from all opposition parties, the Scottish Government and the Presiding Officer — that there was widespread support for the move, the Green-Independent group said. 8 Apr 2013 How will Margaret Thatcher be remembered by the people of Scotland?